In the second part of our series, we’re all about keeping those youthful looks for longer and, with that in mind, have been putting the Fountain Of Youth range through its paces. So, after a week of primping and preening ourselves with these luxe products, Nicky spills the inside knowledge on F.O.Y.’s skin saviours. The secret? The range was developed originally to offer those having undergone cosmetic clinical procedures to extend the results by using high performing skincare products at home. With clients thrilled by the effects they saw from the high quality ingredients, the brand expanded to bring its products to all women. And aren’t we glad they did?! As we reach our thirties, it’s high time we pay serious attention to the needs of our skin and try to make amends for the havoc with put it through in our twenties. I’ve been putting Fountain Of Youth to the test this week to see for myself just how well its products perform on my mid-thirties complexion. So for the past week I have incorporated three of its essential products into my daily skincare routine. For morning and evening use, this super light gel gets to work quickly on fine lines around the eye area, including those pesky crow’s feet. The Revitalising Eye Contour Gel comes in a generously sized pump action dispenser, which performs well and dispenses just the right amount. A little goes a long way, with just a tiny blob needed on both eyes, so this bottle looks like it’s going to be in our beauty cabinet ready to perform its magic for some time to come! Along with echinacea extract and hyaluronic acid, it also contains sea chamomile, which has a similar effect to Botox, meaning it gets to work on any fine lines and wrinkles, so it can double up as an eraser for forehead creases and those around the mouth. 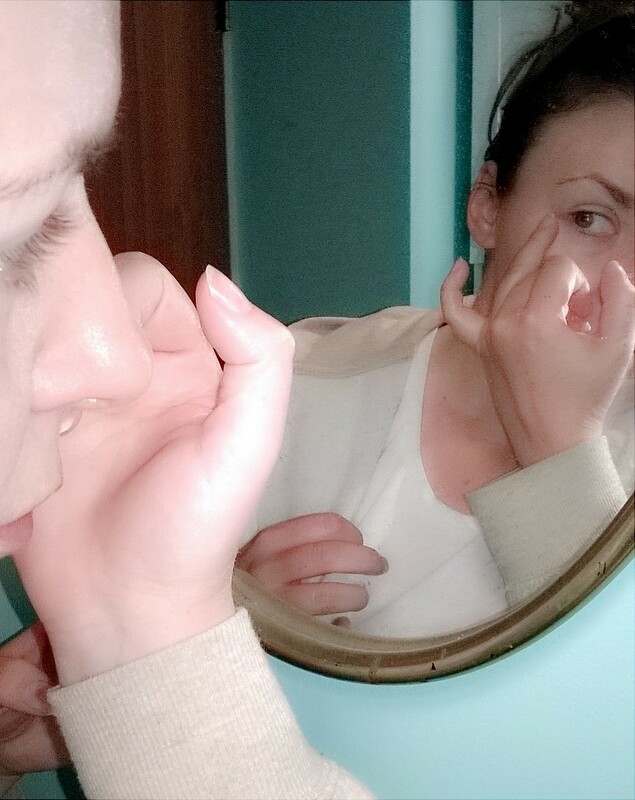 Applying it around the delicate eye area, I found it glided on effortlessly and sank in quickly, ideal for those mornings when you’re in a rush and can’t wait for lotions and potions to take ages to be absorbed by the skin before you can stick your war paint on. And it has certainly had results. After a week’s use, I’ve noticed my laughter lines looking slightly less noticeable and dark circles reduced. All in all, my eyes look more youthful and I’m now the proud owner of a more “wide awake” look. Finding that perfect all-important day cream isn’t easy – it has to give us a surge of moisturisation without being heavy or so greasy that it melts our make up. 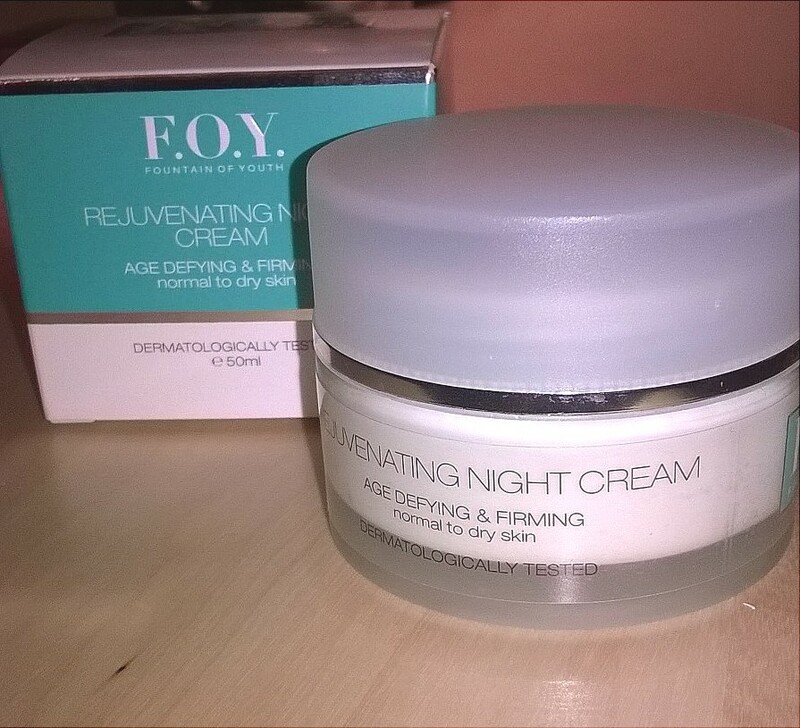 F.O.Y.’s Moisturising Day Cream is ideal. This also contains hyaluronic acid to help your skin retain water, along with shea butter (rich in vitamins A, E and F) and jojoba oil, which, by mimicking the skin’s sebum, helps to regulate oils in the skin. It feels luxuriously creamy, but not so much that it takes an age and a day to sink in, meaning you can apply your foundation more or less straight away. The smell is delicately fresh, great for giving you that extra pep in your step of a morning and I found my skin felt dewy and hydrated all day long. Your night cream plays an essential part in your skincare routine. What we put on our face before we go to bed determines how fresh we look the next morning and paves the way for how well we will age. 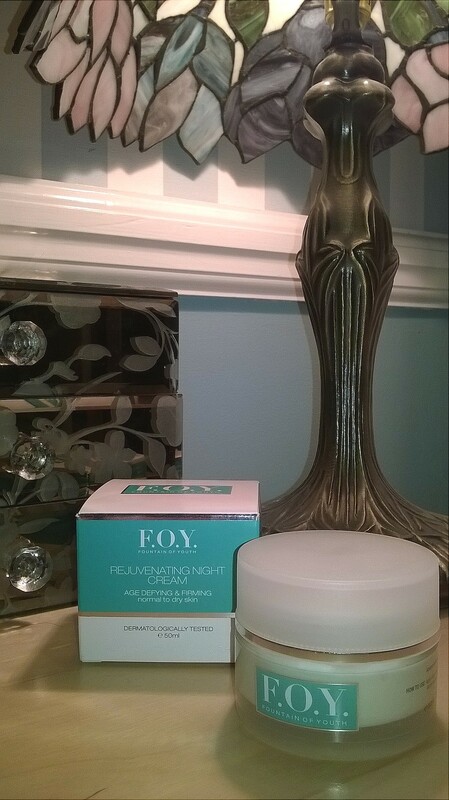 F.O.Y.’s Rejuvenating Night Cream helps your skin to maintain its elasticity and replenishes its natural moisture. It produces collagen lost by the skin as we age through its use of carnosine, a natural peptide. Retinyl palmitate softens skin and helps it to regenerate, creating a more youthful appearance while ginseng root, symphytum and gotu kola work in unison to fight lines and keep skin looking supple. It smells deliciously like almond oil and is super creamy. Again, just a small amount of this wonderful product goes a long, long way, so one jar will last you for quite some time. So, after a week of using all three products in unison, I am sold! I am delighted with the results – my skin feels nourished and fresher. My make up looks better on and the fine lines that are starting to form appeared less noticeable. Overall, my skin looks plumper and more radiant. The F.O.Y. range is certainly a keeper! Let us know if you’ve tried these products or any others from the collection – we’d love to hear your thoughts. As ever, show us some love in your comments below, on Twitter, Facebook or Instagram, and we will be sure to send some right back to you! Stay tuned for Part 3 of Skincare Week, coming soon. Did you miss Part 1? Never fear, check it here! Thanks Shopaholibond! Love hearing such nice things about our posts! We think your blog is super too!